“My first experience with chiropractic care was an infant. I suffered from colic. After my first chiropractic adjustment my colic was alleviated and I am told that I became a much happier baby,” shares Dr. Casey Sinclair. One inspirational experience Dr. Casey had while an intern at AECC was when a patient came in who had been taking medication for 20 years for headaches. “Upon completion of his plan on management he no longer experienced headaches, no longer needed to take the medication, and no longer experienced the allergies he had his entire life,” remembers Dr. Casey. Chiropractic acknowledges the self healing and self regulating properties of the body, and patients deserve a conservative and safe approach to health care first. How well our body functions is based upon the integrity of our nervous system. That’s why so many seek wellness care. They want to make sure that every organ and tissue has an uninterrupted nerve supply. It is important and makes sense to detect little problems before they become serious problems. 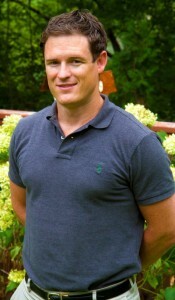 Dr. Casey enjoys staying active by going to the gym, running, playing recreational hockey and golf. He enjoys reading books and watching movies in his downtime. Dr. Casey’s beautiful six-year-old daughter keeps him busy doing various other activities including visiting festivals and parks, going on bike rides, and enjoying the cottage activities in the summer. While the winter brings ice-skating, sledding, building snowmen, bowling, and visiting the movie theatre. Dr. Casey has his spine checked and adjusted, at least once a week. His running and weight-lifting routine allow him to stay fit and busy in his lifestyle. “When it comes to diet, I believe everything needs to be kept in moderation through conscious food choices.” Dr. Casey avoids over-the-counter pain relievers at all cost, mostly through prevention by the lifestyle he lives, and chiropractic care. Contact our Mississauga chiropractic office now to schedule an appointment.